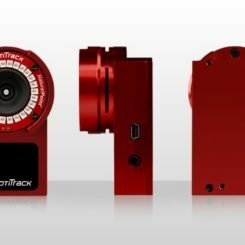 The OptiTrack Flex 3 camera offers integrated image capture, processing, and motion tracking in a powerful, compact package. 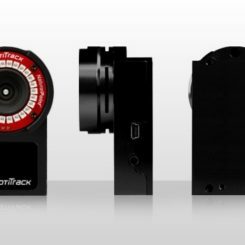 Customize your camera with user-changeable M12 lenses, black or red case treatments, and OptiTrack’s exclusive Filter Switcher technology. 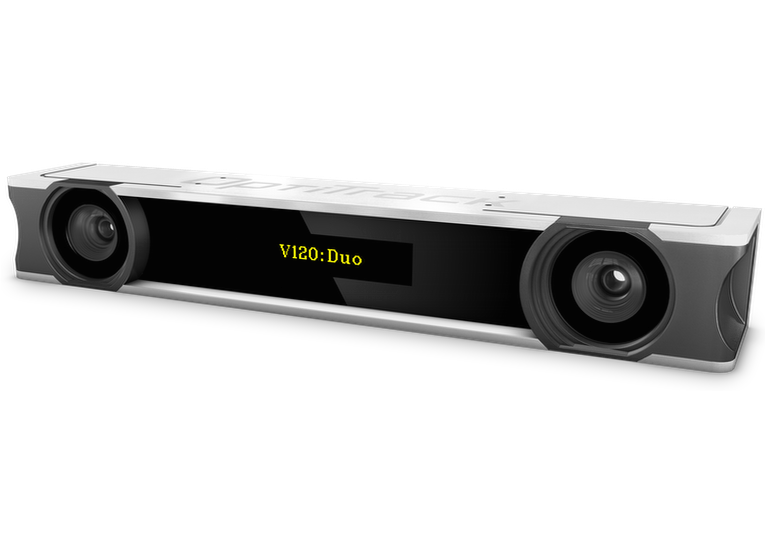 Scalable, modular, and a fraction of the price you would expect—Flex 3 cameras deliver the world’s premier optical tracking value proposition. 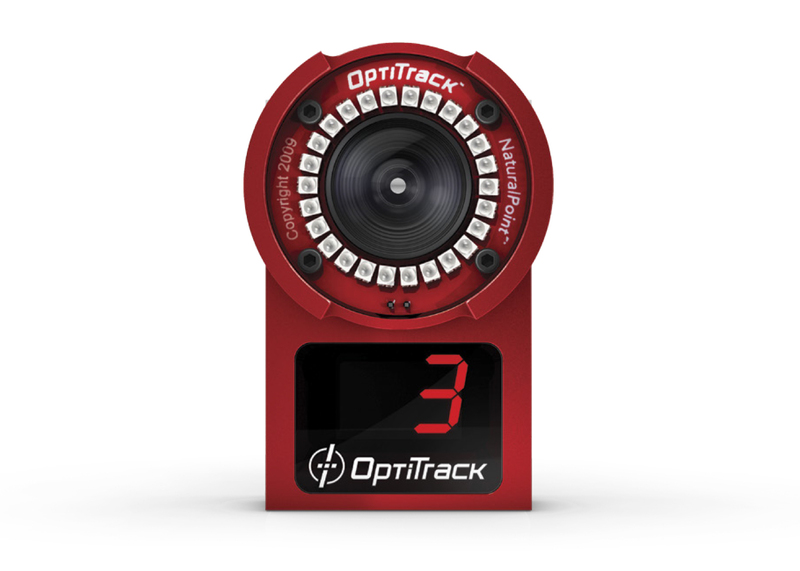 The OptiTrack Flex 3 is capable of capturing fast moving objects with its global shutter imager and 100 FPS capture speed. 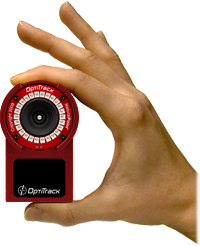 By maximizing its 640 × 480 VGA resolution through advanced image processing algorithms, the OptiTrack Flex 3 can also track markers down to sub-millimeter movements with repeatable accuracy. Precision grayscale – Most precise marker detection. The Flex 3’s default processing type. Sends grayscale marker information to the PC for calculation of object location, size, and roundness using our most precise processing methods. Provides greater accuracy than other modes, but consumes more CPU resources and USB bandwidth. 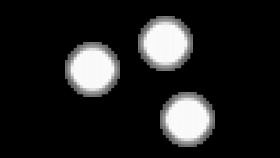 Segment – Balanced marker detection. Similar to Precision Grayscale, Segment processing streamlines marker information for more CPU-efficient marker detection. Provides a balance between precision and USB bandwidth use. Object – The most CPU-efficient marker detection. Provides more efficient USB bandwidth utilization, but delivers less marker information to the PC than other modes. MJPEG-compressed grayscale – Full resolution grayscale frames, compressed on-camera for highly scalable scene video capabilities. Raw grayscale – Full resolution, uncompressed grayscale. 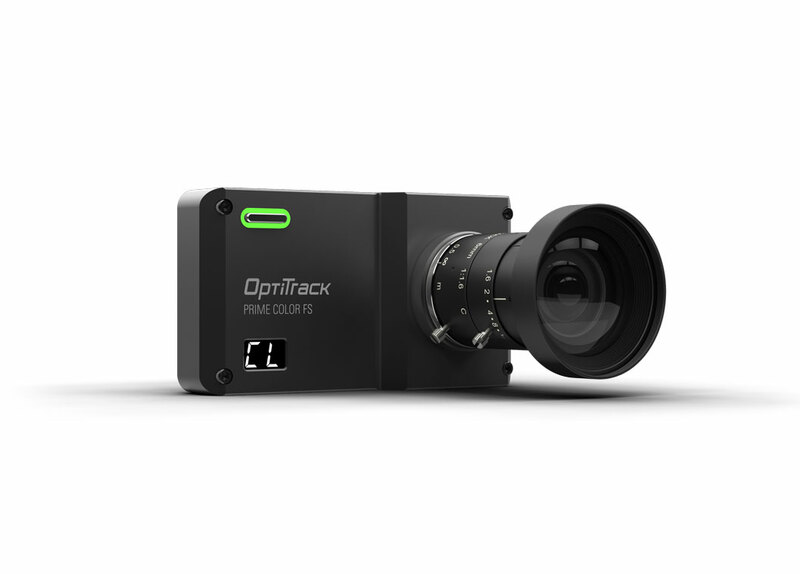 New in the OptiTrack Flex 3, MJPEG compression consumes 1/10th the bandwidth of uncompressed video while still enabling real-time grayscale video at full frame rate and full resolution (up to 100 FPS and 640 × 480 with Flex 3 cameras). 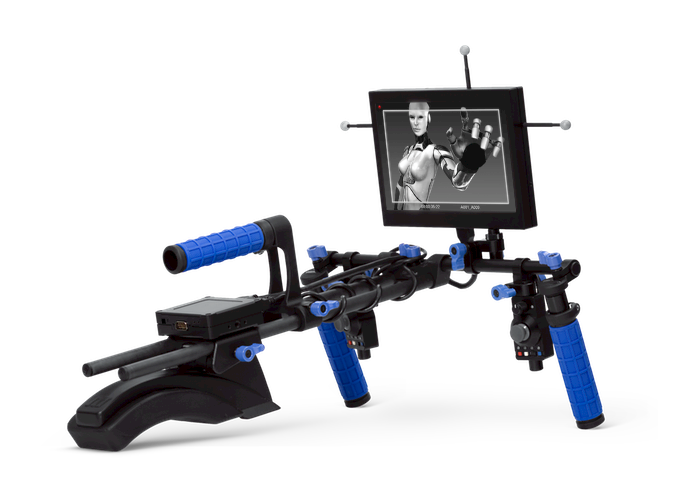 Compact, high-quality grayscale video enables image preview with multiple cameras, simultaneously–an indispensable tool for camera aiming and focusing during rig setup and calibration. Access raw and MJPEG-compressed grayscale video to transform any Flex 3 into a high-speed scene camera. Simplify camera aiming and calibration, optimize skeleton configuration, provide live capture feedback, and improve post-capture cleanup with a variety of grayscale video options. 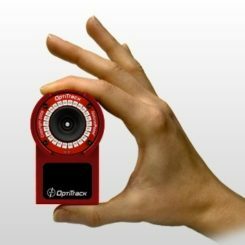 Because OptiTrack Flex 3 cameras can operate in grayscale mode, any of the cameras in your volume can be transformed back into a scene camera after calibration, enabling scene video that has exact position and orientation relative to the tracking volume. 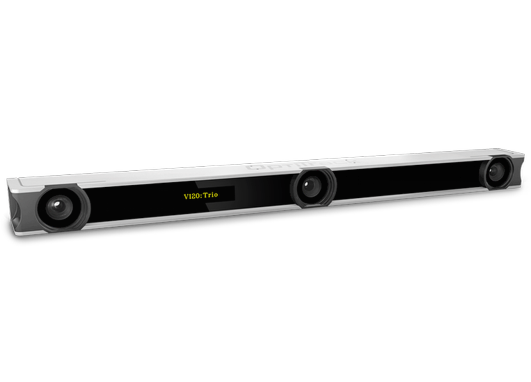 Once scene cameras are calibrated within the volume, you can visually preview potential flaws for a higher level of accuracy. Simply compare the calibrated scene video with overlaid points to confirm that the skeleton aligns with the actor’s body segments and corresponding markers. Monitor the relationship between the actor and skeleton to confirm accurate tracking or to quickly diagnose unexpected behavior. Grayscale scene video is particularly useful during facial motion capture, offering high quality previs for feedback and presentation. 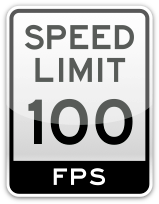 Record MJPEG grayscale footage at up to 100 frames per second—4x faster than normal film playback speed. High-speed recording enables the correlation of scene video and tracking data on a frame-by-frame basis for precise analysis or cleanup in post. 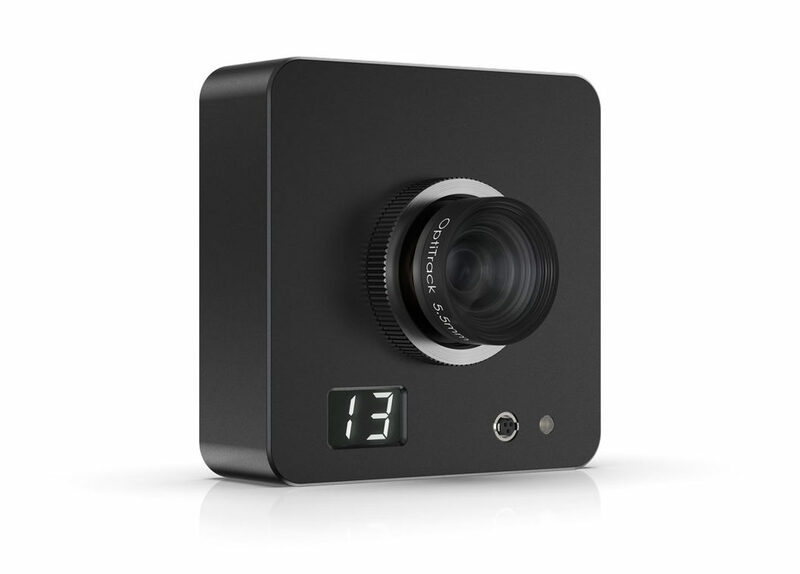 Toggle your camera between capturing infrared or visible light with a single mouse-click. Swap your OptiTrack Flex 3’s 800nm pass filter out on the fly to access visible spectrum grayscale video for enhanced image quality whenever reference video is required. 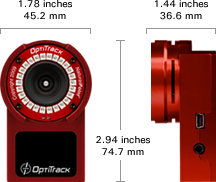 OptiTrack Flex 3 cameras are equipped with a solenoid that can be controlled in-software to extend or retract the infrared lens filter. 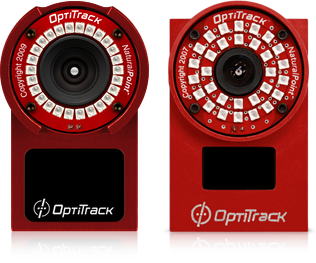 OptiTrack’s custom polychromatic M12 lenses are specially designed to remain in focus in both the visible and infrared spectrums. Utilize environmental lighting—including standard fluorescent lights—to illuminate your scene for brighter lighting throughout large volumes. Replace high contrast, infrared lighting with natural, visible light for more balanced and visually appealing scene video—ideal for presentation-quality streaming and recording. 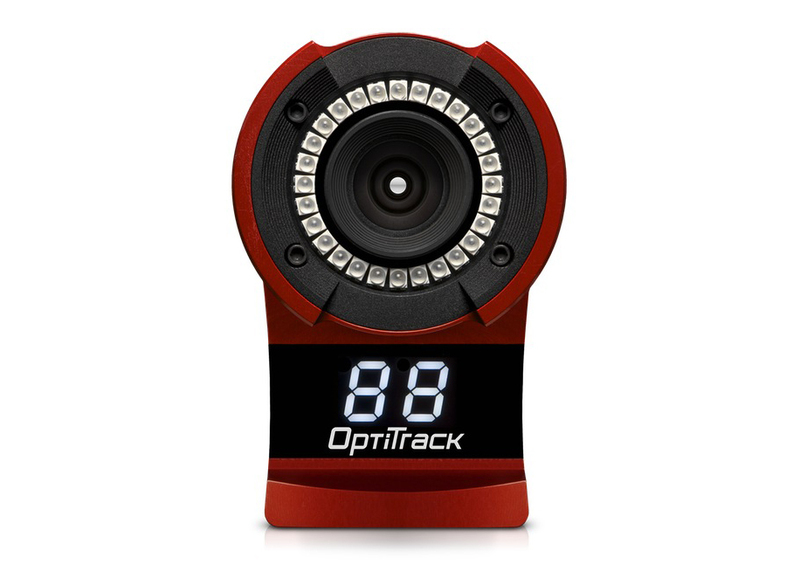 The OptiTrack Flex 3 can be optimized for a variety of applications with custom-designed, interchangeableM12 lenses. Choose between 3.5mm, 4.5mm, and 5.5mm EFL lenses to adapt your cameras to your ideal capture volume. All three lenses feature a special spring focus assist, very low distortion, and fast F#1.6 apertures for increased tracking distance. 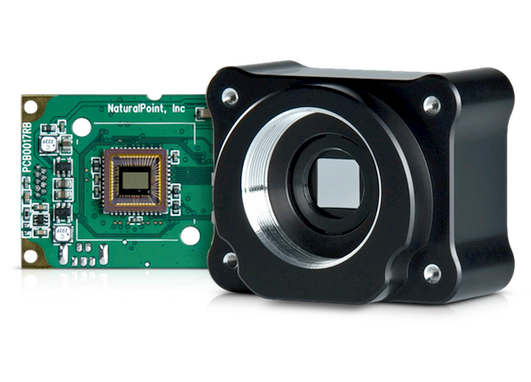 Typical applications utilize 3.5mm for capture volumes in smaller spaces, 4.5mm for larger capture volumes and camera counts, and 5.5mm for facial capture. 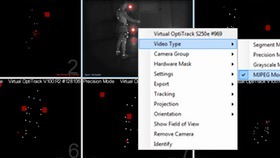 OptiTrack Flex 3 cameras can be discreetly integrated into large installations, or allow you to spatially optimize desktop capture volumes for face mocap and tracking rigid bodies. Choose red camera cases for higher visibility, or black for subtlety. 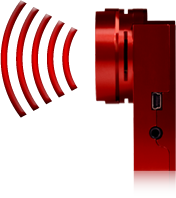 OptiTrack Flex 3 cameras emit 850nm IR light, which is nearly invisible, for inconspicuous and gentle lighting, thereby avoiding vision fatigue and unwanted attention to your capture rig caused by cameras that emit bright, visible spectrum light. 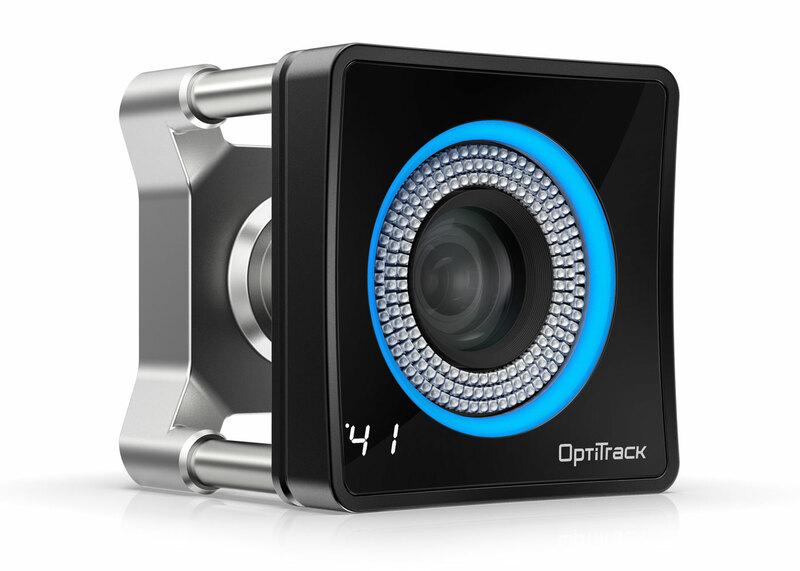 When used with an OptiHub, OptiTracks’s custom high speed USB hub, Flex 3 cameras can operate in high power mode to draw additional power for the IR strobe. The extra power increases capture range and reduces marker dropout. 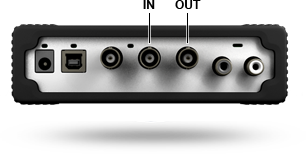 The Flex 3’s standard power mode is USB power compliant for use with off the shelf hubs and direct connections to a PC. 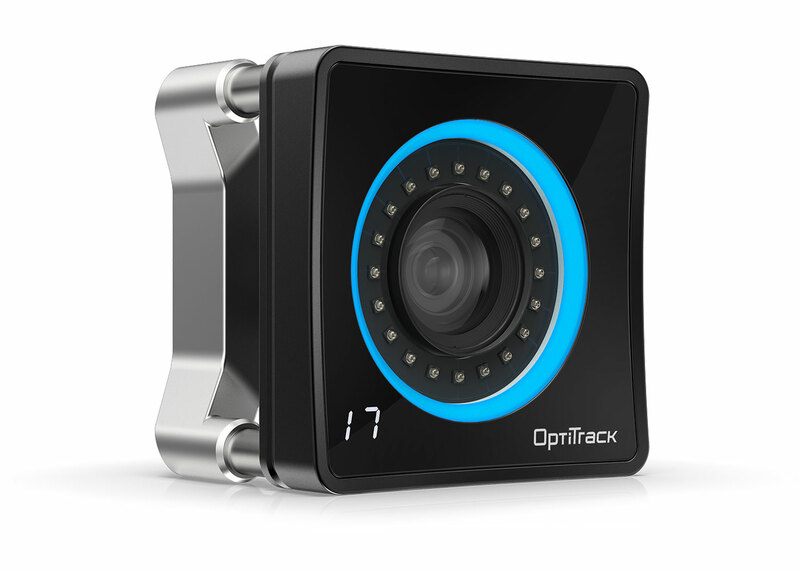 OptiSync1 is OptiTrack’s custom synchronization system, which sends and receives sync signals over USB cable. As a result, cabling is reduced by 50%, which enables faster and simpler setup. 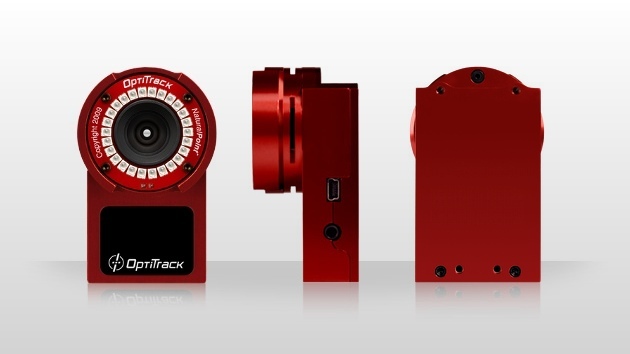 Integrate OptiTrack Flex 3 cameras into large scale tracking and analytical ecosystems with external sync in and out. Utilize frame triggers or free-run triggering to synchronize frame cycling with external software controls and hardware components like force plates and shutter glasses. 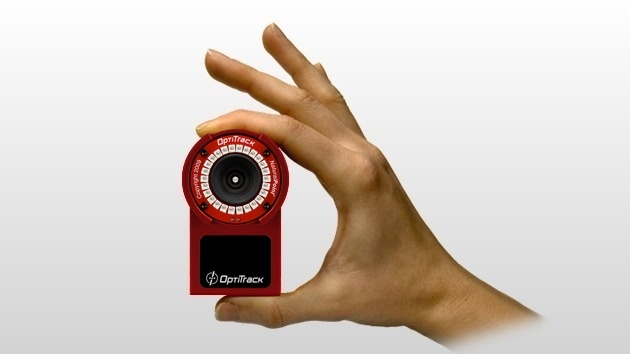 The OptiTrack Flex 3 includes backwards compatibility with existing V100 camera installations in traditional Wired Sync mode and V100:R2 installations in OptiSync or Wired Sync mode. 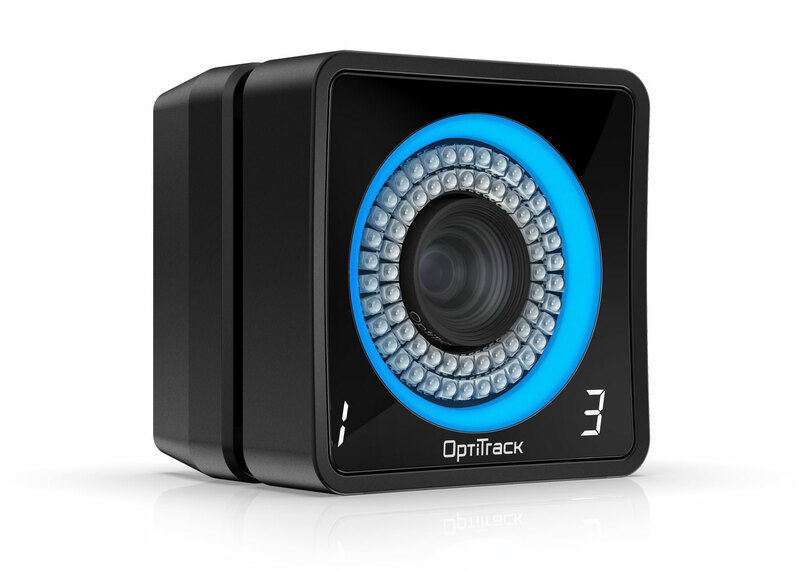 OptiSync is only available for Flex 3 cameras connected to OptiHubs. 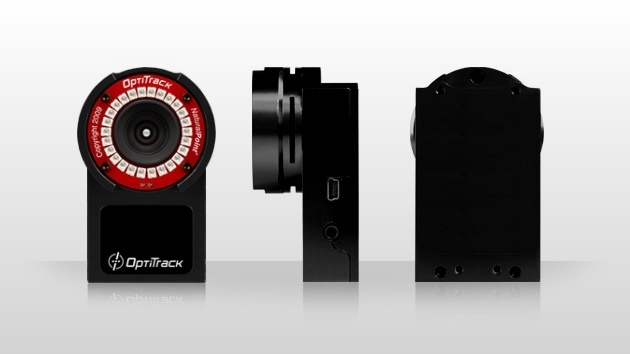 OptiTrack systems are modular, reducing your initial investment in motion tracking technology. Start with a 6 camera bundle for under $7k, and as your tracking needs or budget expands, add more cameras or new software applications to increase the capabilities of your system. 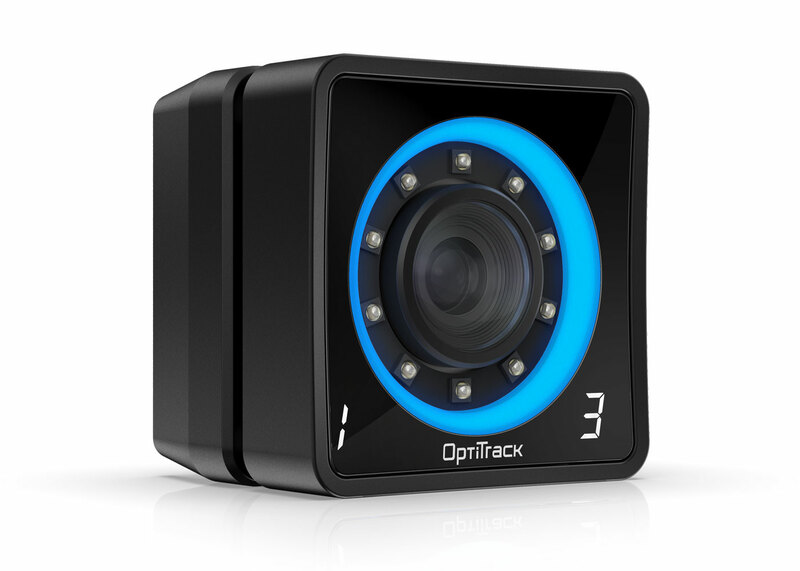 Incorporate OptiTrack Flex 3 cameras into OEM tracking or computer vision applications via the freeCamera SDK. Recommended system requirements can vary significantly based on camera model and count. Please visit the system builder tool to find system recommendations tailored to your specific setup.